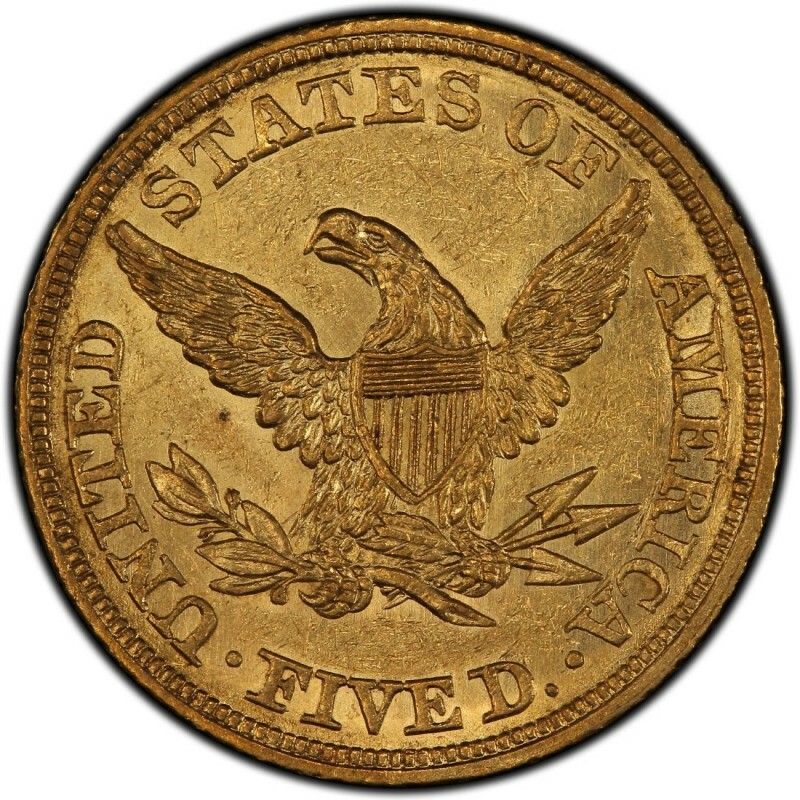 1846 Liberty Head $5 half eagle gold coins were made in six varieties, accounting for the different mintmarks and date sizes on $5 gold coins from that year. In 1846, the Philadelphia, Charlotte, Dahlonega, and New Orleans mints all produced half eagles. As is the case with other Liberty Head half eagles, the Charlotte and Dahlonega issues are the scarcest today, though the New Orleans mint produced fewer coins than the Dahlonega mint. 1846 Liberty Head half eagles were designed by Christian Gobrecht, who is perhaps most famous for having designed the Seated Liberty coinage of the 19th century. 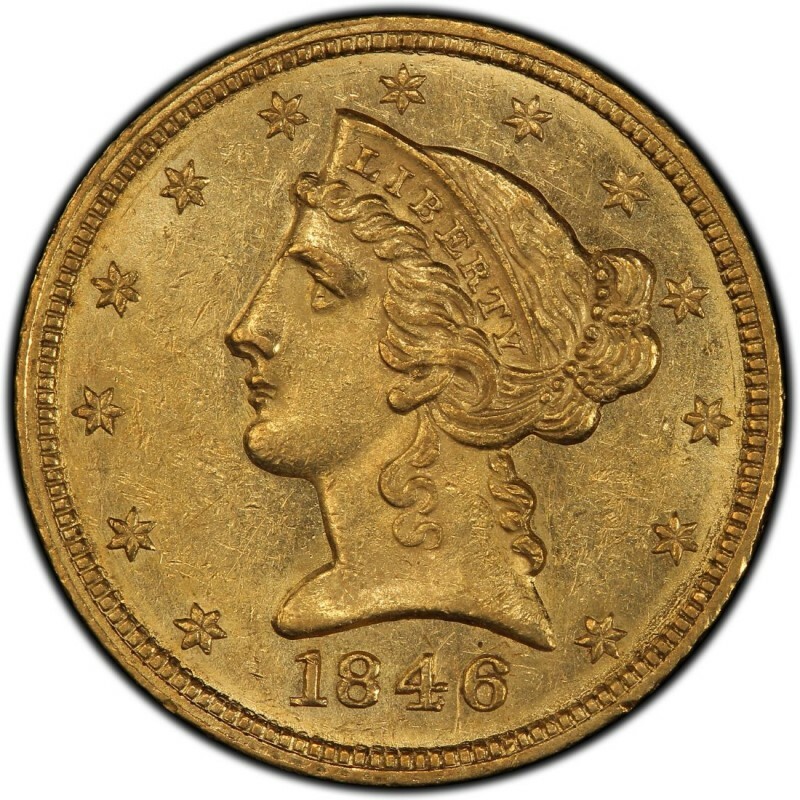 As 1846 Liberty Head $5 gold coins are considered historic by numismatists and the value of these coins far exceeds the intrinsic gold price, bullion investors tend not to buy these coins for their portfolios. Interestingly, Liberty Head half eagles weigh 8.359 grams and contain a net pure gold weight of 0.24187 ounces. 1846-D Liberty Gold Half Eagle $5 - PCGS VF Details - Rare Dahlonega Gold Coin! PCGS 1846-D $5 Dollar Gold Liberty Head, VF DETAILS VERY FINE. Dahlonega Mint!